If you’re considering an Argentina honeymoon, you have a diverse, adventure-filled and educational trip ahead of you. This second largest country in South America, and eighth largest in the world, has so much to offer, both in terms of its vast size and unique landscape but also its rich culture and ease of transportation. Although the country is enormous, it’s not difficult to travel from one point to the next, making it an easy destination to explore in full on your honeymoon. It’s also wildly romantic, as it’s an international hub for Latin dance, food, wine and more. Here is everything you need to know before jetting off on your Argentina honeymoon. The best times of year to book your Argentina honeymoon are in the fall and spring months, though these greatly differ from what we’re used to in the U.S. For example, Argentina’s fall is from April through June, when we are experiencing spring, and their spring is when we’re experiencing fall, from September through December. During these periods, the weather tends to be more mild and the crowds less overwhelming, so honeymooners can really experience all the country has to offer and more. These months also tend to be more affordable, as well, which is always a welcomed plus for newlyweds who just spent a boatload on their wedding! If you’re deciding between their spring and fall, you may want to go with late fall, as this time of year tends to experience the least precipitation. 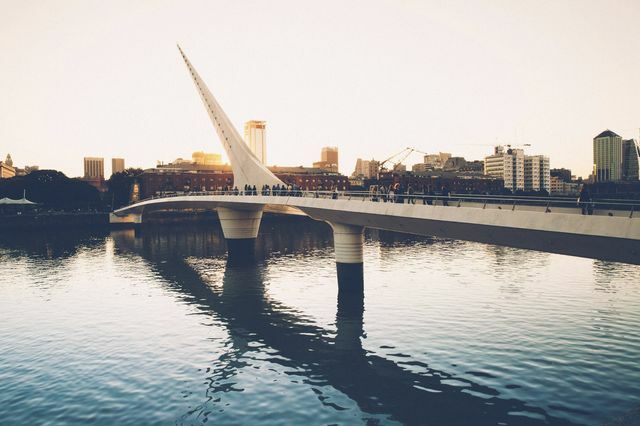 Argentina’s capital city and the largest one in the country is certainly not a stop to miss on your Argentina honeymoon. It’s best known for being the birthplace of tango, so you’ll want to make sure you bring your dancing shoes and sign up for a class while you’re in town. The city itself is an eclectic mix of old and new architecture, much like that of what you’d see when traveling Europe (think cobblestone-clad streets and a healthy mix of old buildings and new skyscrapers). There’s much to see and do, but during your travels you should most definitely include a day in the sprawling neighborhood of Palermo, a stroll through the Fería De Mataderos, a market with a wide array of crafts and food, at least a couple hours at The National Museum of Fine Arts and dinner overlooking Puerto Madero, the port that illuminates the most light in the city and once served as a major hub for importing and exporting goods. 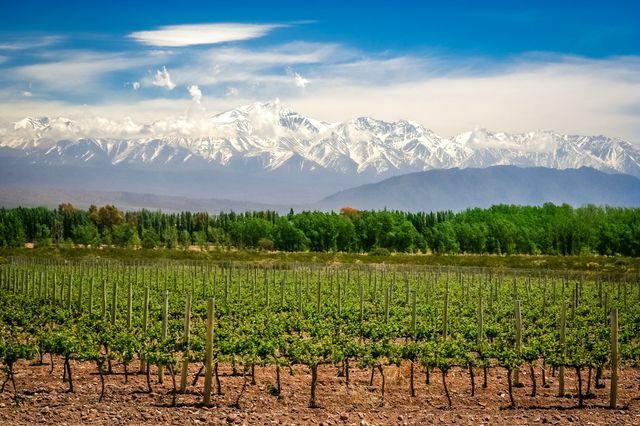 On the foothills of the Andes mountains, you’ll find this charming Argentinian city best known for being the center of the country’s wine production. With over 1,500 wineries in the vicinity, wine tasting will likely be your top activity, but there’s plenty more to do in the mountainous surroundings. First thing first, you’ll want to explore the central city, starting with the main square, Plaza Independencia. You can stroll along the pathways, hear street musicians, view lovely crafts created by street vendors and sit on one of the benches to really soak up the city’s beauty in the most simplest form. Another park worth visiting is Cerro de la Gloria, which features a large monument to to the Army of the Andes. Mercado Central is the main market where you’ll taste delicious Argentinian food and, of course, enjoy a glass of Malbec made from one of the nearby wineries! Nature lovers won’t want to miss Iguazú Falls, which was voted as one of the 7 natural wonders of the world. The Falls runs along the northeastern side of Argentina, practically touching the bordering territories of the country, Paraguay and the Brazilian state of Paraná. On Iguazú National Park, you’ll find 275 waterfalls that measure as high as 265 feet high. Keep your eyes peeled for some fascinating wildlife, including wild monkeys, toucans, coatis, ocelots and more. While nature is what you’re after when visiting Iguazú Falls, you won’t have to camp out, unless that’s your thing. There are plenty of high-end and budget hotels in the area, many of which cater specifically to Argentina honeymooners.